The first question you're probably asking yourself is, “why are you doing Gameplay Sliders now Futhead?” And it's a fair one. There are two reasons really. The first being that EA (as always) patch the game a number times after launch to sort various issues out. And any gameplay tweaks they do decide to make, can have a fairly dramatic impact on the sliders. Meaning we end up doing the testing three or four times over. Not cool. And secondly, after a few months the novelty of a brand new FIFA has well and truly worn off, making most people more keen than ever to try something a bit different. So, with further ado, here are the Gameplay Sliders below in short form, and some further rationale on the changes made for those of you who are interested in that kind of thing. Even though FIFA 16 is slower than its predecessor, for offline play the “Slow” game speed option is still an absolute must. And even then, it's still too quick for what I want a football simulation to be. Dropping Sprint and Acceleration speeds to 45 and 46 respectively achieves that without things becoming too unresponsive. EA introduced the new Passing with Purpose mechanic for FIFA 16, and I for one am a big fan of it. But, with this new found injection of pace on demand, passing on the whole has become a little too quick. You'll also find that the CPU on higher difficulty levels abuses the R1+X pass awfully well, meaning an increase in Pass Error for them is the order of the day to sort that problem out. When you do eventually get an injury in FIFA 16 (very rare on the default settings) the length of time players actually spend on the treatment table for their ailment of choice is pretty good. But as I've mentioned, injuries just aren't frequent enough for squad management in Career Mode to be even mildly interesting. So we've bumped up the frequency to solve that. By all means tweak to taste on this one, some people dispise any and all injuries for some reason. Goalkeepers are really rather good in FIFA 16 it has to be said. But whilst that's an overwhelming positive when it comes to things like animations and the like, it can be incredibly frustrating when their shot stopping reaches ungodly levels. So we'd recommend just a slight drop in goalkeeper ability to take the edge off. 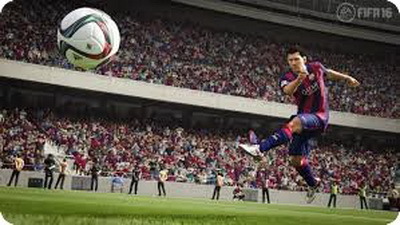 Another thing FIFA 16 added to the mixed, was better defensive covering, marking of space and many other wonderful positioning details we'd all wanted for years. But (and this partly helps the next topic too) calming the sometimes frantic nature of player runs in FIFA 16 (attacking and defensive) really helps the overall structure of the way matches play out. Dropping Run Frequency just makes things more calm. It's that simple. FIFA 16’s pitch may be big in dimensional size, but under certain circumstances the actual space available within those four white lines for players to play in, can become a tad condensed. Especially in the final third. All these 3 settings aim to do (as you can hopefully see) is to spread things out a little bit. Increasing the Line Width and Length spread players positioning wider and longer. And dropping the Defensive Line of both the User and CPU creates a little more room for everyone to work in. 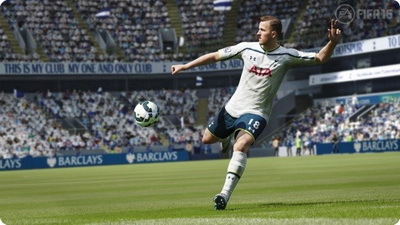 More time on the ball and less congestion make FIFA 16 a much nicer game to play. I did say I'd only discuss changes, but fullbacks do need a mention. If you're using the “Always Overlap” Player Instruction for your fullbacks within Team Management, I'd say that 50 is bang on in terms of sliders. Otherwise you'll find them caught out of position far too frequently should you go to say 52. But if you aren't using that Player Instruction, then I'd go for 51 or 52 for the Fullback Positioning slider. Use one or the other. Not both.